LONDON, July 1, 2014 - Russia's Maria Sharapova returns a shot during the women's singles fourth round match against Germany's Angelique Kerber at the 2014 Wimbledon Championships in Wimbledon, southwest London, July 1, 2014. Sharapova lost the match 1-2. 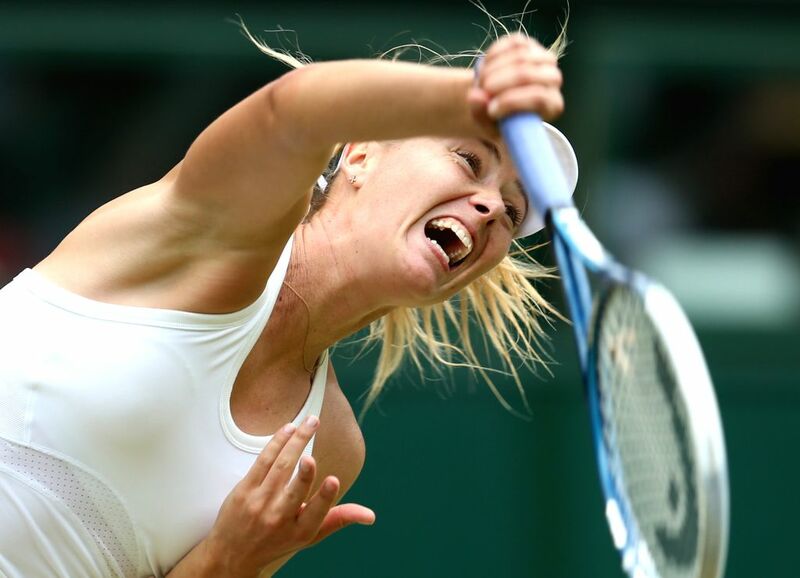 Russia's Maria Sharapova holds a ball during the women's singles fourth round match against Germany's Angelique Kerber at the 2014 Wimbledon Championships in Wimbledon, southwest London, July 1, 2014. 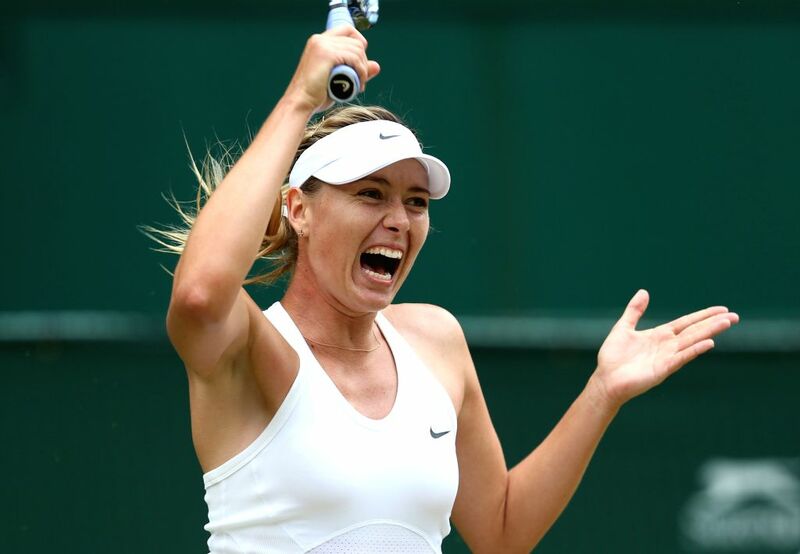 Russia's Maria Sharapova serves during the women's singles fourth round match against Germany's Angelique Kerber at the 2014 Wimbledon Championships in Wimbledon, southwest London, July 1, 2014.